Celia remarked yesterday that the long weeks of relentlessly high temperatures and continuous sunshine seem like a distant dream. She’s right, though it’s still been warm, there is a definite end of summer feel. This evening it’s been raining with a determination which is doubly annoying as I forgot to take something out of the car earlier. Also I closed my windows to keep the rain out and I felt rather too warm, so the sounds of rain fizzling to a stop has been most welcome. Maybe if it cools down there may still be blackberries when I eventually get to das Boot. I picked lots in NI to have with my breakfast and to add to yoghurt, which was all very geographically appropriate as it is what the Tourist Board likes to call Heaney country. I’m home again but off to Octavia’s shortly for supper and to celebrate her mum’s 94th birthday, so this will of necessity be a quick, photoless post. Just to be clear, her mum is there, so we shan’t be toastimg the start of her 95th year in her absence. I had a fabulous time in Northern Ireland; three poetry events in three days at the Heaney Homeplace. The highpoint for me was undoubtedly Simon Armitage on Saturday afternoon, but I enjoyed the rest and have a book of Nick Laird’s poetry to add to my shelves. Simon Armitage is the real deal; funny, profound, poignant, his poems provide a commentary on the world about him. He opened with Thank-you for Waiting, which for an audience no doubt familiar with both Easyjet and, in particular, Ryanair, sent ripples of knowing laughter round the Helicon, as the auditorium is called. When I went into my local Poundland today in search of boxes of paper hankies, I picked up my wire basket and prepared to voyage. Armitage checked that his audience knew what Poundland is, and commented that when he read the eponymously titled poem in Oxford he wasn’t sure people knew what he was talking about. The poem came about when one of his students told him he had seen a copy of Ezra Pound’s poems for sale in Sheffield’s Poundland for a pound. Armitage having, as he put it, a bit of an obsession about Book XI of Homer’s Odyssey, the two ideas collided to create something very wonderful. Read it here. OK, so it’s not a great play on words, but I have been listening to the Great Punster Ian Mc Millan, and if your knee felt like mine has been feeling you’d be pleased you could still laugh. Is that self-pitying enough? Bear with me. My left knee is my good knee. It has been the dependable one since I bashed my right knee in 1993 and spilt the meniscus, cue lots of pain, gradual onset of arthritis, and a sick note for life saying I must not run. Although of course I have run, usually for the bus, but to vary things, sometimes it has been for the train. Some great reading this week. At the weekend I finished Penelope Lively’s Ammonites and Leaping Fish, A Life in Time. It’s a memoir, but being Penelope Lively she bypasses all the clichés. It’s a social history as well as her history; beautifully written which is a given with her as an author, and absorbing. It’s perceptive, observant, sometimes funny, sometimes poignant. There is a little impatience with the ageing process but never self-pity. The only time Penelope Lively has disappointed me was Spiderweb, which I think was written not long after her husband Jack’s death, so might be forgiven as a potboiler. This is not quite a memoir. Rather, it is the view from old age. And a view of old age itself, this place at which we arrive with a certain surprise – ambushed, or so it can seem. One of the few advantages of age is that you can report on it with a certain authority; you are a native now, and know what goes on here. 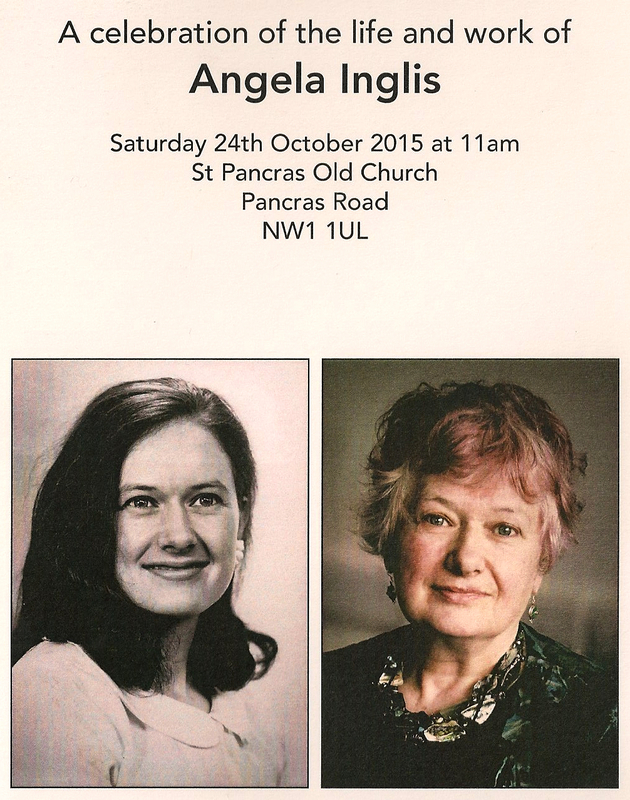 Angela’s funeral was yesterday. Her memorial was today. The unusual proximity of the two events due to family from from the US and Australia needing to return home.